Florida’s 30A beaches have something for everyone, regardless of their interests, age or talents. 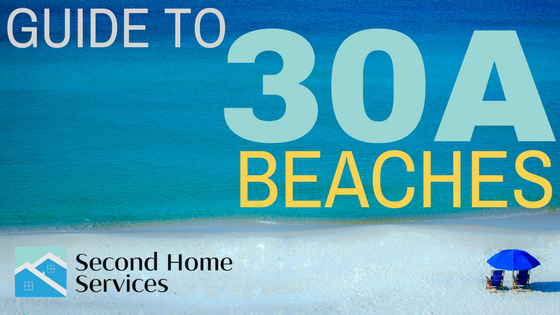 We have lived and worked on 30A for over 28 years. During that time, we’ve experienced all the greatness that 30A and its beaches have to offer. In the Ultimate Guide to 30A Beaches, we share our favorite spots and tips on making your time on 30A a memorable one. The beaches themselves are the main attractions but don’t forget about the shopping, snacking, drinking, paddleboarding, fishing, SCUBA, bicycling, concerts, festivals, fine dining, and so much more. Positioned in the heart of beautiful Highway 30, Grayton Beach features glorious white sand, stunning oak trees, historic cottages, art galleries and plenty of cute little shops. Residents of Grayton Beach take great pride in the fact that they can take their 4-wheel drive vehicles right on out to the sand. Additional Grayton Beach activities and opportunities include Western Lake’s lovely waters, dolphin watching, beach bonfires, bar hopping and world-class restaurants. The one and only Red Bar is located on this spectacular beach. This is the perfect place to down a few drinks and dance the night away to live bluegrass and jazz music. This popular destination draws its fair share of celebrities. So be sure to keep your eyes peeled for the stars when you are out and about at 30A beaches. When it comes to 30A beaches, Santa Rosa Beach is one of the best. This area is primarily comprised of sub-communities with truly remarkable identities. It is the longtime home for our vacation home watch services company, Second Home Services. Santa Rosa Beach is undoubtedly one of the most unique 30A beaches in this area. This section of 30A was the original home to the pioneering settlers of the early 20th century. 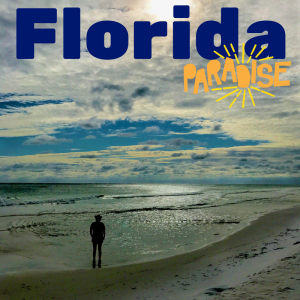 Positioned by Choctawhatchee Bay, the beach is a somewhat hidden escape from the comparably active tourist centers of the sunshine state. This is the perfect place to get away from the hustle and bustle of city life and take it easy. Just be sure to have someone keep your Santa Rosa Beach property in tip-top shape when you are away. Dune Allen is predominantly a residential community yet it is also quite the popular vacation destination. This stunning 30A beach provides some truly awe-inspiring views of the gorgeous Gulf of Mexico. Positioned on the north side of 30A, Dune Allen Beach offers easy access to coastal dune lakes like Oyster Lake and Stallworth Lake. Popular activities include fishing, bike riding, dining and shopping. Stinky’s Fish Camp’s culinary offerings are beloved by locals. Head a bit to the east and you will have all sorts of Gulf Place dining and shopping options to enjoy. You won’t find a better view than the one provided at Santa Rosa Beach Club. Take your sweetie out to Vue, a 30A restaurant known for its breathtaking views and menu. Dune Allen Beach’s Gulf Place provides plenty of shopping and dining opportunities along with beachfront parks. Be sure to head on over to Ed Walline to take advantage of the elevated viewing platform and spacious picnic shelters. The area’s Topsail Hill State Preserve is cherished as one of Florida’s most beloved parks. It features peaceful coastal lakes, glorious dunes and more than three miles of pearl white sand spread across secluded beaches. Locals love the massages at South Walton’s. This service can even send masseuses on out to homes throughout the Blue Mountain Beach area. Justin Gaffrey’s Art Gallery is another attraction locals rave about. Here, you will find color-infused paintings that provide quite the visual feast. Take a bike ride along the beach, head on through town, grab a drink and a bite to eat and you will feel as though you are living in paradise. Destin’s Destiny East and Destiny West comprise one of the most stunning portions of the 30A beaches. Destiny West is chock full of posh properties lined with lovely tropical landscaping. This is the cream of the crop when it comes to Destin real estate. You will rest easy knowing your loved ones and belongings are kept perfectly safe in this secure area. In fact, many Destiny neighborhoods are gated communities. Take a bike ride, jog or walk around Destin and you will quickly understand why this area is so popular. Aside from glorious upscale homes, Destin has lovely scenery by Highway 98, views of the Gulf of Mexico, active community centers, elite dining options and all the shopping opportunities you could hope for. If you are looking for an active locale to enjoy all life has to offer, Destin is the place to be. There is always something fun and interesting going on in this portion of the 30A beaches. This neighborhood has it all. Caribe is beautiful, lively and relaxing. Though Caribe is not a beach itself, it provides direct access to a private beach. Think of how nice it would be to wake up, grab some coffee and head on over to your very own private beach to enjoy the morning or even the entire day. Ask around and you will find Caribe is one of the best areas to own a home or vacation in the 30A beaches area. Aside from the private beach, residents also have access to an array of additional beaches as well. Caribe homes are rife with tropical colors that provide a distinctly Caribbean feel. Though the Caribbean vibe is in the air, none of the homes look exactly alike. Each has its own unique color combination, architecture, and overarching style. These aren’t those cookie cutter McMansions you see throughout the rest of Florida. Each of Caribe’s custom-built homes has a top-notch interior and provides a picturesque view of the Gulf of Mexico’s magnificent waters. The neighborhood has minimal traffic and little noise pollution yet it provides quick access to all of the action of the 30A beaches. Caribe residents spend their time on Miramar Beach soaking up the sun, swimming, building sandcastles and enjoying tasty beverages. Additional neighborhood niceties include two pools, a tennis court, pavilions, gazebos and rock-bottom HOA costs. If you are looking for a secluded space to enjoy time alone or with those you love, look no further than the luxurious neighborhood of Caribe in Miramar Beach. Stallworth is a group of upscale homes with remarkable views of the Gulf of Mexico. Stallworth property owners enjoy access to nearby public beaches as well as a private beach. These homes are located in gated communities that provide unparalleled seclusion. Stallworth properties feature lovely balconies that provide picture-perfect views of the majestic water and visually stunning vistas. The interior craftsmanship of Stallworth homes is second to none. Each is fully customized to provide the highly unique feel every homeowner deserves. Stallworth is perfectly positioned by Topsail Hill Preserve State Park. Residents enjoy direct access to the diverse park amenities. The sand dunes in this portion of the 30A beaches are as unique as it gets. In particular, locals rave about the Stallworth Lake dune preserve. The 30A beaches’ coastal Dune Lakes are rare and naturally-occurring geological phenomena that are only present in a few areas of the world. Outside of the 30A beaches, you will find this unique geological formation in Madagascar, Australia, and New Zealand. The Coastal Dune Lakes in the 30A beaches area are said to be upwards of 10,000 years old. They formed as winds redirected sand to form shallow basins. This is why most of the coastal dune lakes are a mere five feet deep. The dunes leave an indelible impression that will inspire you to return for countless visits. Yet you can do much more than look at these lakes. Cross the natural bank of soft sand and step into the fresh water for a relaxing swim. You can also rent a kayak or take a tour of the lakes with the assistance of a local guide. Don’t worry one bit about the cleanliness of the water. The water quality is regularly monitored to preserve the integrity of these rare natural wonders for posterity. Stallworth Lake at 30A is undoubtedly one of the sunshine state’s brightest gems.